Not Wired That Way is a witty blog with a social conscience. Follow the misdeeds of The Bachelor - as defined by NotWiredThatWay, tips on auto clubs, auto repair, the homeless, education, and more. Adventure, intrigue, government conspiracies, and dystopia with some science fiction thrown in, what is there not to like about the O-Negative Series. Before I tell you a little more about This Body Won't Break, I would like to comment on the YA genre in general. If you follow my reviews, you know that I am all in favor of strong female characters. Women, young and not so young, who step up, whether right or wrong, and take charge or their lives and the situations they find themselves in. I believe authors are finally grasping that the age of the "weeping willow" is over and the result is a plethora of truly good books in 2017. I did my happy dance so much I made myself dizzy. 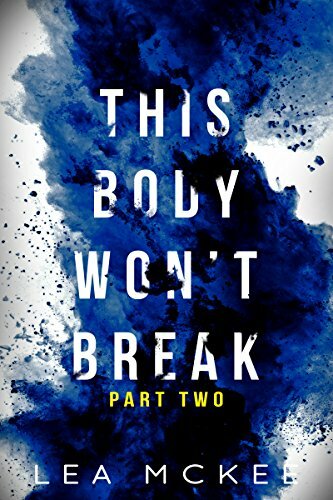 Now back to This Body Won't Break by Leah Mckee. This Body Won't Break is the first part of the O-Negative Series. The author, Leah Mckee is a new Indie writer, but she seems to have jumped into the YA pool head first and is able to hold her own. If you enjoyed reading Atlantia by Alysson Braithwaite Condie, Rise by Sophie Jordan or Pawn by Aimee Carter then you should be pleased with the O-Negative series as well. Before the first book of this dystopian YA was released in its entirety, the author offered up a few chapters to readers for free. I was hooked from the first few paragraphs. The author's style is clean and straightford without falling into simplistic jagon. The story snags you and doesn't let go. I read the last page and wanted more. Immediately. When This Body Won't Break, Part 1, was released in it's entirety I loved it! There was a part that happened in the book that kind of gave away something that happens later but instead of detracting from the story, it kind of added to the suspense because then, as you read along, you're also asking yourself, "Am I right?" Joanna, the main character, evolves with every page. Her character is well rounded, almost three dimensional which makes it easy to step into her world. I can't wait to see where Joanna and Ms. McKee take us. There are characters and relationships that I wish had been more developed. Copyright 2016 Not Wired That Way/NotWiredThatWay. All Rights Reserved. Awesome Inc. theme. Powered by Blogger.